The sequel of two other my stort stories: "The Dragon Slayer from a Forest" and "The Blood of Innocent", so you should (but, of course, don't have to!) read those before to get the full understanding of the plot. Enjoy! Jeong Ho hated rats. He hated them more than dragons. And that fact was saying a lot. When the rat showed up, Jeong Ho was quietly eating improvised bibimbap in his small cave. He still was not in a very good shape to walk distances, so the dragon slayer’s life of a caveman continued for almost three days. And one rat ruined everything. It was snow white. It might have been very cute, if not the one-centimetre claws and black spots of oil on its back. It crawled behind Jeong Ho’s back right into the dying fire. Of course, it starting squeaking loudly enough for the dragon slayer’s keen ear to hear. Instead of taking out his sword and fighting, like he did with dragons, or heavy-armored warriors, or taking out his toothpick and poke, like he did with large bugs, or small animals, he roared louder than any dragon on the Earth, and ran like a gazel. At first, he chose the wrong direction, and slammed into the cave wall. At last, he found the half-buried entrance of the cave, and rushed out of it. The cave collapsed behind him. After the threat was gone, Jeong Ho understood his immediately low chances of staying alive. He was out there alone, weak, without any weapon, and only with a half-finished bowl of bibimbap in his hands. Suddenly, he had an idea. The dragon slayer walked west for a bit, and came to a large snow hill. On top, there was a huge body lying. When Jeong Ho came closer, he saw it was just a thick layer of scales over a lizard skeleton. In the middle of the corpse, a small hole was clearly seen from a large distance. The dragon slayer peeked in. Inside, there was nothing but bones covered with scales. There was no sign of rotten flesh or organs. Yet, the smell was not the most possible pleasant one. Jeong Ho took out a small glass vial, and poured several large drops on his face. The smell of rotten meat immediately became unnoticable in the strong, pleasant aroma of green tea. Although the idea of spending a night inside a body of a dragon seemed ridiculous, it was Jeong Ho’s only chance of surviving. He could see the black clouds of the blizzard going from the west. The dragon slayer climbed in the corpse, and laid on the bones. His dreams were awful. He was falling in a dark pit. The small circle of the blue sky was closing overhead. When the sky was out of sight, a cold and deep voice rang in his ears, “Here you go, Jeong Ho Choi. You delayed your death, but stopping it is not your opportunity. My minion is waiting for you. Here, in my son’s chest, you will find death”. He was washed with the cold feeling he already felt before. Then, a monster appeared. It was the most ugly creature the young dragon slayer ever saw. Its head was dragon. Its body was human. Its arms were snake tails. Its tail was fox. Its legs were chicken. Jeong Ho felt fainting. He woke up just in time. Around him, there were no more bones in sight. The hole in the dragon’s side was almost closed. At the last moment, the dragon slayer jumped out of the body. When he turned around, Jeong Ho understood what was happening. The dragon was resurrecting. The white creature started to move. Snow began to fall from its forming nostrils and mouth. Jeong Ho understood what was his only chance. He started running towards the cave. The roar behind him came sooner than the dragon slayer expected. He could already see the familiar valley. Suddenly, he fell. The voice from his dream was speaking in his head, “Well done, Jeong Ho Choi. You were about to escape. Now that you are done with, I can start the war. The world is to be destroyed. You are to die. I am to rise”. Jeong Ho started seeing visions from his past. He saw his parent’s death, a running image of a green warm forest, his uncle. At the background, a white dragon smashed into the snow hill. The visions continued, becoming more and more visible, stealing the dragon slayer from the reality. Jeong Ho knew he was dying - if not, at least stolen into the world of memories. He tried to crawl, walk, run - nothing could stop the visions that were becoming more and more clear. At the last moment, he hit himself hard on the head. That was his fatal mistake. The visions went dark. His dreams were even worse than before. He was at the dark cave, with only a small patch of sunlight in the place that he fell through. The monster from his previous dream was staring at him. Fear captured Jeong Ho’s heart. The monster grinned, and spoke in a loud ugly voice, “Welcome home, Jeong Ho Choi. I don’t mean your home, it is my home. For the sake of my lord, it is going to be the last place of your life”. “As you wish”, said the monster. “But you are not dying now, are you? This is just a dream. A vision. A warning. If you follow it, the world will be destroyed in the eternal war. If you don’t, you are going to be destroyed, along with other dragon slayers. You have to make a choice when you wake up”. Jeong Ho woke up. Khund was kneeling next to him. Nearby, there was a pile of the dragon slayer’s stuff resting. “What, what happened?”, asked Jeong Ho. “Nothing much. You just talked with some strange voice for over three hours, and tried to kill me one time. There was a white dragon flying above you, but it left long ago”, quietly answered Khund. “You just stood up, said something in another voice, and tried to smash me with a warhammer”, said Khund. Jeong Ho was terrified. He started to understand the connection between everything that happened in the last week. He was pursued by a god. The worst of all, this god was Lauka, and almighty god of war. “We need to go to the village”, said Jeong Ho. “I have a bad feeling”. There were a couple more hills left. Jeong Ho kept riding, with Khund behind him. The dragon slayer was thinking of what it all meant. He couldn’t trust anyone. The world was on the edge of the war. The horrible minion of Lauka was waiting for him somewhere. It was hard to imagine a worse situation. While Jeong Ho was in his thoughts, he heard a quiet weak voice of Khund, “Look”. Where the village was supposed to stand, there were ruins. Air smelled of dead bodies. Instead of houses, there were tiny piles of ash. The dragon slayer walked towards the burned houses. He recognized several corpses. Suddenly, he heard a very quiet noise. It was coming from directly underneath him. The ground trembled. He felt like going down. The dragon slayer tried to move away, but it was too late. He fell into the pit. The circle of the sky became smaller every moment. It felt like eternity. Jeong Ho started to revise his life, just in case he died. He figured out, that maybe he will die for a reason, like the monster from his dream told him. Yet, monsters often lied. He used to learn it the hard way. Finally, the tunnel ended. He fell into a small lake. He couldn’t see either the ceiling or the walls. Above him, on a flat stone that looked like a primitive stage, his nightmare war standing in flesh. The monster smelled of rotten eggs and fish. “How is your day? No offense, but one wants it to be the last day of your useless life”, said the monster with a very casual tone, as if he was inviting Jeong Ho to a party. “None of your business”, answered the dragon slayer with the same tone. “You cannot take my life away, as it is against the law. If you do, in the best case you will be immediately executed”. “This is not government. This is life”, said the monster. Jeong Ho understood his chances were slim. The monster was at least two times bigger than him. The dragon slayer was used to fight big monsters, but instincts told him, that this creature was much faster and smarter than any dragon he fought before. Even the Red Dragon. Despite all this, Jeong Ho threw a knife. The monster dodged, and started spitting some pink liquid. The dragon slayer also tried to dodge, but two chunks of a mysterious liquid reached his leg. The pain made him wince, but Jeong Ho kept his balance, and jumped close to the monster, cutting off its arm. The next moments were not remembered by any witnesses. You would just feel the cold wind from two hurricanes spinning through the whole chamber. But nobody felt it. Nobody was seeing it. Even the fighters lost their feelings. The first things Jeong Ho remembered after that, was standing at the edge of a bottomless pit, which was probably half a kilometer away from the place Jeong Ho fell. In front of him, the monster stood. It didn’t have both arms, but by some miracle the creature actually stood, ready to continue the fight. Except for a couple of bloodstains, Jeong Ho didn’t receive any serious damage. The monster grinned, “These are indeed the last moments of your life, Jeong Ho Choi. Yet, following ancient traditions, I must let your last wish come true. You can choose anything reasonable enough”. “Sorry,” the monster asked. “That is beyond reasonable. I’m out of time. You will to die now”. 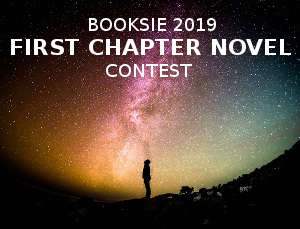 Jeong Ho made a mysterious smile, and backflipped into the chasm. His hand barely grabbed the saving root. 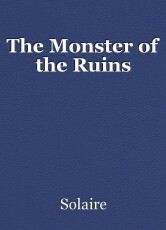 For a moment, he saw the monster of the ruins falling after him. A small hand was extended over the chasm. Jeong Ho just couldn’t be angry with this boy. Khund reminded the dragon slayer of his childhood. He knew he must keep the boy safe. “Dear boy,” the dragon slayer put his hand on the boy’s shoulder. “My life is nothing compared to your life. We could both die”. “No,” Khund quickly rose his head. “I heard the priest and dad talking… they said you were dangerous and all, and you must be killed”. “No, it wasn’t like hate… It was more like they were the ones in danger”. © Copyright 2019 Solaire. All rights reserved.